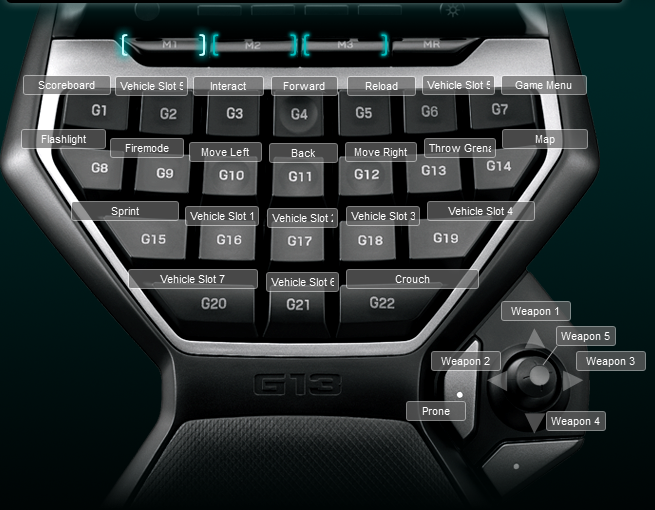 I updated the standard Battlefield 3 Logitech G13 profile to work better for me. I am using M1 for vehicle and normal infantry. Then M2 is for air vehicles. I may update it since the air vehicle setup doesn’t work the best for helicopters, might use M1 for all but Planes. Below is are screen shots of the M1 key associations.